South Africa has been recognised as a leading player in the space science sector. The South African National Space Agency (SANSA) has been selected by the International Civil Aviation Organisation (ICAO) to become the designated regional provider of space weather information to the entire aviation sector using African airspace. This means that every aircraft flying in the continent’s airspace will rely on SANSA for the space weather information as part of its flight plan, Department of Science and Technology said on Sunday. SANSA, an entity of the department, underwent an extensive assessment to earn the distinction, becoming one of two ICAO-designated regional space weather centres. The other is the joint Russia-China centre. 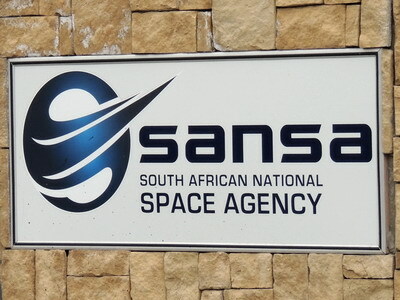 The department said SANSA’s designation by the ICAO presents an opportunity to further use the newly revamped space weather centre at Hermanus in the Western Cape. The newly upgraded centre’s monitoring of the sun and its activity has been providing the country with vital early warnings and forecasts on space weather conditions, and these benefits will now be extended to the international aviation community. The department said South Africa’s international reputation has also been enhanced, with the country now seen as a leading player in the space science sector. “South Africa’s designation as a regional space weather information provider will grow the science, engineering, technology and innovation sector, offering opportunities to develop scarce skills and increase national research output, while ensuring that usable products are generated from the knowledge,” the department said. This use of the space science and technology for the good of the nation is the aim of South Africa’s National Space Policy and National Space Strategy, and space weather information has both national and international benefits. Owing to the increased interconnectedness and interdependence of technological systems in the world today- which will expand as the Fourth Industrial Revolution gathers momentum- space weather events can have a negative impact on multiple systems. These can lead to serious operational failures in the communication, navigation, energy and aviation sectors, among others, with potentially disastrous effects. With this in mind, the space weather can lead to reduced signals from global navigation satellite systems, adversely affecting navigation; increased radiation, which can destroy human cells and tissue, especially during long-haul flights; and blackouts of high-frequency radio communications, which are critically important for the aviation and marine sectors. While South Africa is the only African country with operational space weather capabilities, the department said it will engage with other African countries on data sharing, infrastructure hosting, training, product development, and research collaboration opportunities. “The country’s space science programme is feeding the knowledge economy and placing the national system of innovation at the centre of South Africa’s developmental agenda,” the department added.